324 p., 15,6 x 20,9 cm. 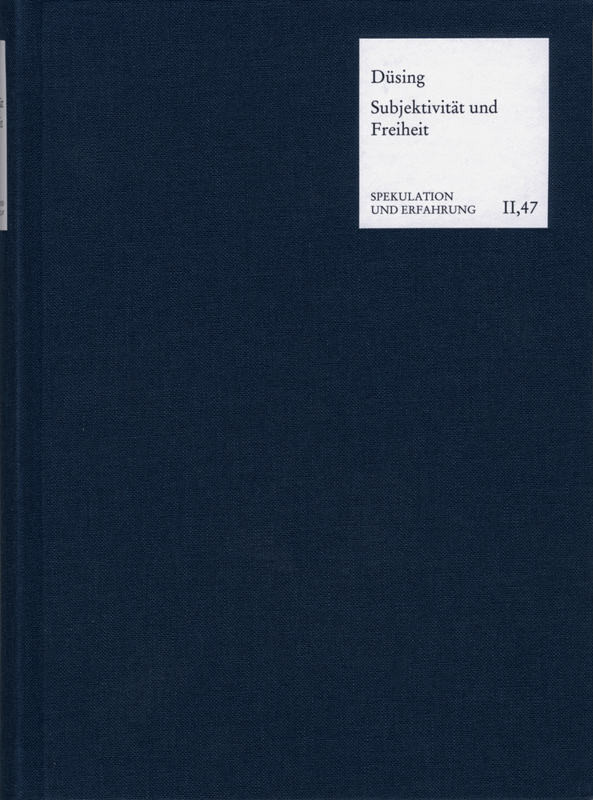 This volume presents ten important articles of the author on classical German philosophy from Kant to Hegel, among them original contributions as well as articles here first published in German. It is shown what »subjectivity« means in 1800 and today, furthermore how time, imagination and self-consciousness are developed in Kant and Fichte, and how the circularity-objection against self-consciousness is to be avoided. Düsing explains which meaning subjectivity and metaphysics have in Hegel’s ctitique of Kant and Schelling’s own theories, how morality and liberty are determined in Kant and in Hegel, and finally which paradigms idealistic aesthetics of Schelling, Hölderlin and Hegel contains.